The real Greek tragedy is its devastating loss of opportunity. Since WWII Greece suffered a series of corrupt governments that plundered the future of the nation for personal wealth and power. The result is a massively overbuilt bureaucracy, incredibly underbuilt social and infrastructure, tax avoidance by the powerful that undermined the willingness of citizens to pay their own taxes, stalled small business development and a general sense of public ennui. This was (and is) a formula for destroying rather than building a vibrant economy. A major part of that fraud was senseless borrowing, no doubt of that but most of those proceeds slipping into private pockets and offshore accounts. We see that elsewhere, but Greece is the poster-child of the moment and will soon become yesterday’s news. The pain and devastation will remain long after the world has forgotten. Prime Minister Alexis Tsiparas and his Syriza Party government swept into power in a democratic refutation of what had gone before. Greeks were wild with enthusiasm for a party they believed would bring an end to public fraud and corruption. And they were right to hold that hope. Tsiparas and his party were determined to clean up the mess that had become Greece. They had no hidden agenda. What they had was the support of the people and the enmity of the powerful. Such political and societal intersections seldom, if ever occur and now it is over. Greece’s harbors remain full of yachts and the kitchen-cupboards remain empty. The powerful won. Everyone has their own view of the circumstances and they’re obviously self-inflicted wounds, but the opportunity to right three generations of wrongs has been lost. It’s interesting to me how the status of ‘investors’ has changed over recent decades and, as an observer, I struggle with the social costs of those changes. Time was, if you made an ill-conceived investment you lost your money. Investing was a game of profit and loss. Done deal, money made or lost. But no longer and 2008 was a watershed moment. A certain class of investor became bullet-proof and was deemed worthy of protection at whatever social and economic cost. I don’t really know how that happened, but it did. In the American financial collapse, millions lost their homes to save the very wild-eyed fraudster investors who created the housing bubble. Their were saved because they were (in the eyes of those who held the financial reins) too big and powerful to lose. We lost, we who turned out to be powerless in what is laughingly referred to as a free society. The specter of loss and hope of gain is what sets the stage for cautious investment. That carrot-and-stick traditionally kept the game honest. When gains remain private and the possibility of loss is covered by public bailout the whole process becomes a charade. Suddenly (for some) there is no stick. 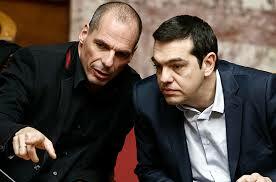 The charade played out in America is now onstage in Greece and its next booking is Italy. The crowds may fall silent, but the sets are outrageously colorful. As the final curtain falls, two reform governments will fall before the stunned audience exits and that’s a Greek tragedy of magnificent proportion.